We can offer projections screens from 200x150cm up to 800x600cm for standard (4:3) and widescreen (16:9) formats as well as 835x210cm to 1135x290cm for ultra widecreen formats, in both front and rear projection configurations. 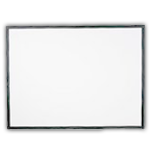 Projection screen set for front and back projection, with a detachable aluminium frame. Size 366x274cm. Fressnel projection lens for back projection, size 256x196cm. 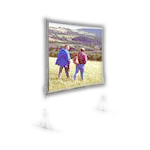 Projection screen set for front and back projection, with a detachable aluminium frame. Size 211x183cm. 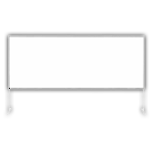 Projection screen set for front and back projection, with a detachable aluminium frame. Size 305x230cm. 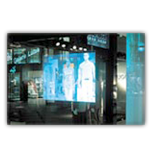 Projection screen for front and back projection, size 500x375cm. 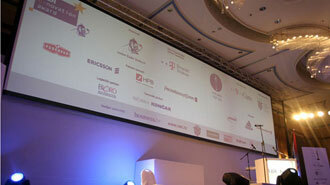 Projection screen for front and back projection, size 700x525cm. Projection screen for front projection only.